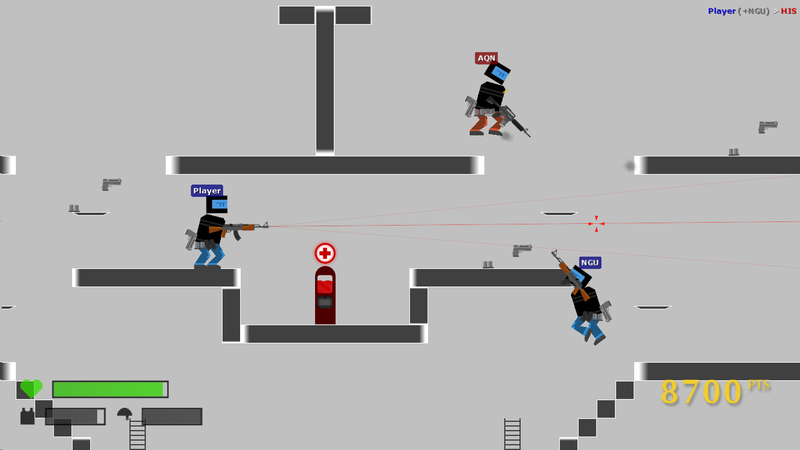 The game's core follows the mechanics of classic 2D shooters, but gets more intricate in player actions. There is no "R to reload" or auto-pickup for weapons; to reload your pistol, you pull out the magazine with the mouse, and drag a new magazine from your belt to the pistol. 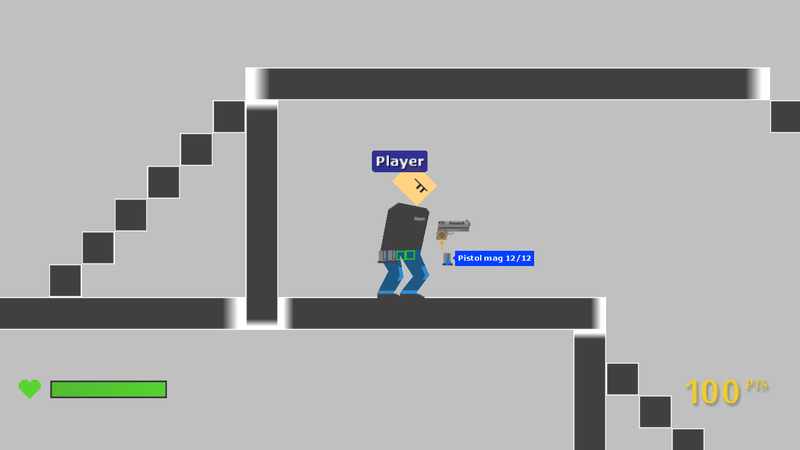 Similar behaviour is required for reloading other guns, and picking up / dropping items. 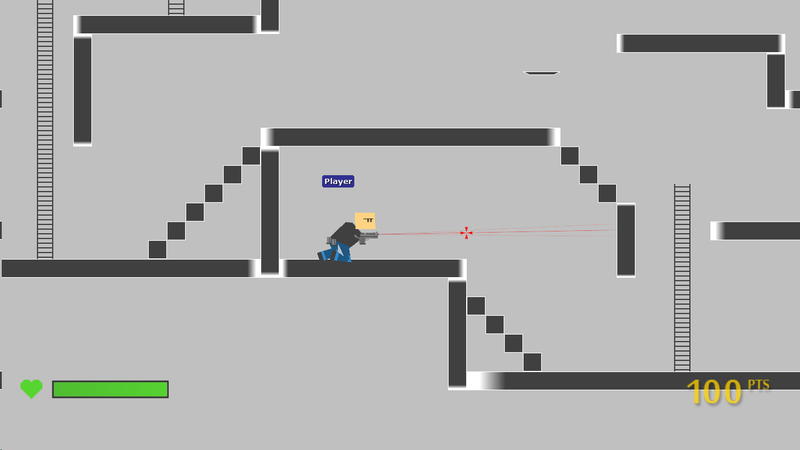 The game also features a somewhat advanced AI, so enemies can do things such as reloading in the same way, choosing which guns and items to pick up / drop, and choosing paths to follow. Another interesting, albeit incomplete feature is multiplayer support over LAN or Internet. This feature has progressed a lot since the project's beginning and includes a lag-compensation mechanism and synchronization of late-joining players, but it is very hard to debug, so there are some bugs here and there. Finally there is basic physics implemented, used for ragdoll-type death animations and possibly more stuff in the future. The game is built on Game Maker 8, and uses Maarten Baert's ExtremePhysics and Medo's Faucet Networking. This project has been in a standstill since I had postponed it during my last school finals and graduation. Not sure if I will ever continue it, since I have moved on from Game Maker to Unity3D, but I really like this project and I might give it a shot in the future.